The powered speaker market is crammed with offerings from numerous companies. How does Yamaha's latest offering in the field stack up? I remember the first time I used powered speaker. It was the late 90s and I was freelancing for a sound reinforcement company that had some of the original JBL Eons. The concept of a loudspeaker in a plastic, molded enclosure with an onboard amplifier was a new one to me. And they sounded pretty good, too, though it seemed they were always straining due to their relatively low output. 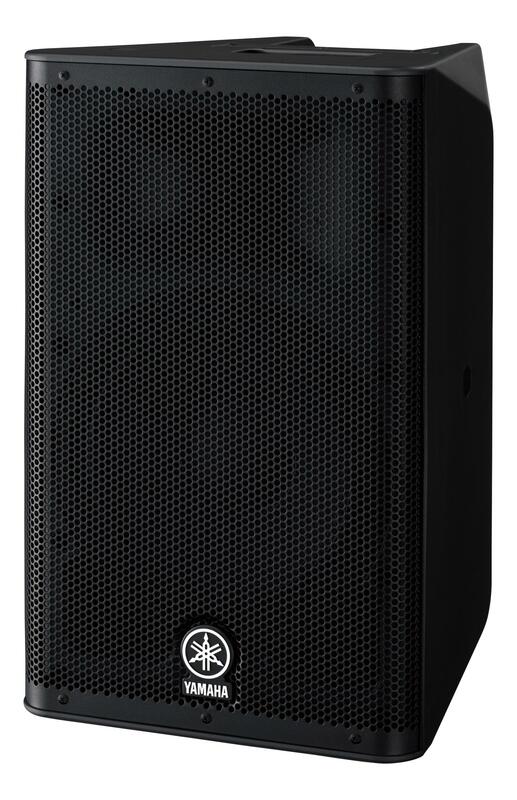 Powered speakers from Mackie and Yorkville soon followed JBL’s lead. In the early 2000’s I bought a pair of Yorkville NX550p powered speakers, which served me well as both a small PA system for my trio organissimo or monitors for my personal keyboard rig with other bands. Another band I played with until 2009, Root Doctor, used the ubiquitous Mackie SRM450 powered speakers and a pair of JBL Eon G2 speakers as FOH and monitors. Both were relatively heavy and didn’t have much power compared to the modern versions. But they were some of the most affordable options for small bands forced to carry their own PA system. Fast forward to today and almost every major loudspeaker manufacturer has a line of powered speakers that are lighter and more powerful than ever. The Yamaha DXR series is the well regarded Japanese company’s latest offering in the powered speaker market and meant to be a direct competitor to the popular QSC K series. How do they fare in a crowded field? "Dedicated" available for pre-order now! organissimo's newest CD is a groove-packed party! "Alive & Kickin'! ", the first live CD from the band! This Is The Place - The sophomore CD that put organissimo on the national scene. Featuring a reverent rendition of Zappa's classic "Peaches En Regalia." Waiting For The Boogaloo Sisters... - The award-winning debut CD that Cadence magazine called "a red alert" for jazz organ fans!